​Click on each image for enlargement and description. 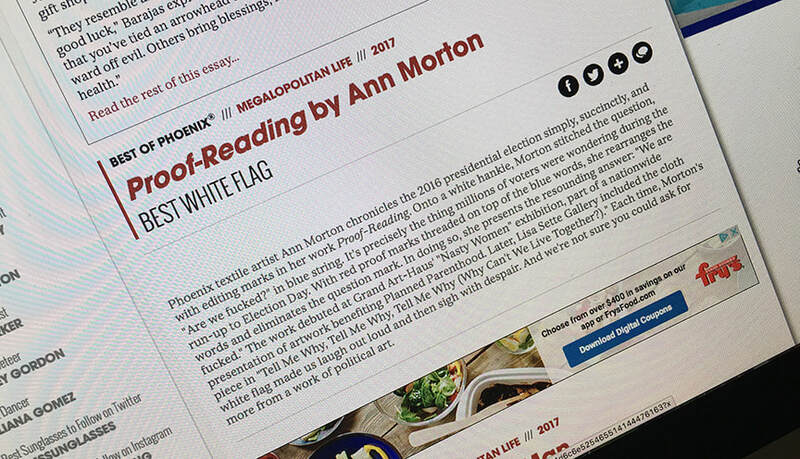 Online version of the 2017 New Times Best of Review - Voted Best White Flag. Proofreading #1 - Overall view of how the work was originally hung at the Nasty Women exhibition, Phoenix, January 2017. 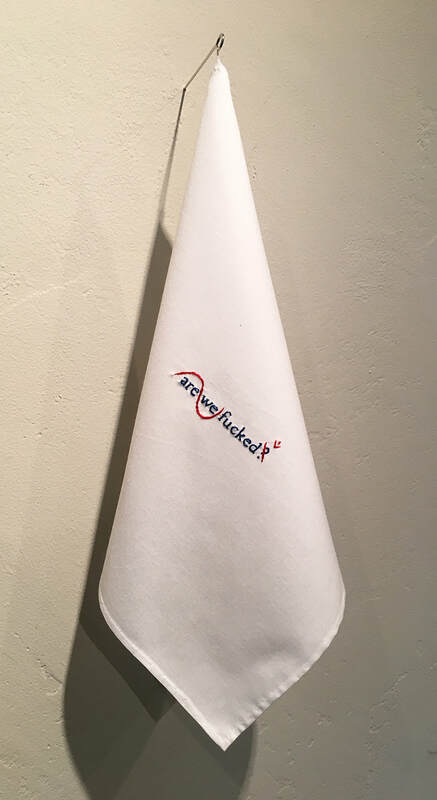 Proof Reading (Proofreading #1) was originally created to support the Nasty Women Phoenix exhibition staged shortly before the Trump inauguration in 2017 - with the mission to raise funds for Planned Parenthood. From there, four further editions of this first piece were picked up by the Lisa Sette Gallery and subsequently included in her gallery exhibition titled "Tell Me Why, Tell Me Why, Tell Me Why (Why Can't We Live Together?)". Two additional Artist's Proofs were shown by Sette Gallery at Art Miami in December of 2017 and was sold out. In 2018, a second Nasty Women Phoenix show was organized, and Proofreading #2 was created. From there, Proofreading #3 and Proofreading #4 were added and are represented by Lisa Sette Gallery. 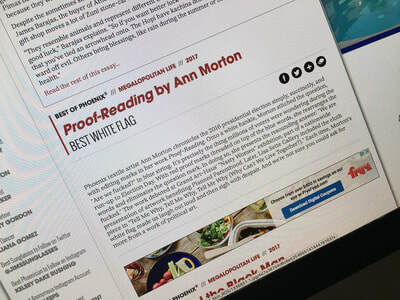 Proofreading #1 was included in the 2017 Phoenix New Times Best of Phoenix as "Best White Flag". Proofreading #2 was included in the 2018 Phoenix New Times Best of Phoenix as "Best Political Art".